Today we want to thank all the institutions and officials that made KITO’s project become true. 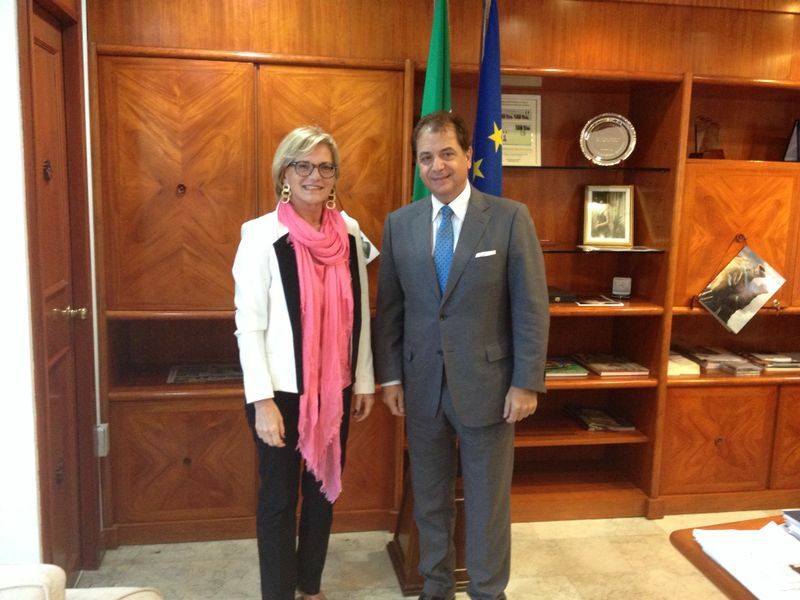 As you all know, our President Paola is in the Philippines right now and today she met the Italian Ambassador in Manila, Mr. Massimo Roscigno (in the picture with Paola), in order to discuss about the local support that KITO is giving to vulnerable Filipinos and to overcome the difficulties dealing with the customs clearance of the KITO-Health Unit, which is going to be inaugurated next week. We also want to thank the staff of the Filipino Consulate in Italy and the Consul Mr. Enrique G. Pingol, that has supported our projects helping us with the authentication and delivery of all the documents needed for our departure and the delivery of Kito-Health. Without the assistance and support of these offices, that are fundamental for the development of our activities, we would not have been able to reach our goal. Therefore we want to say: THANK YOU!